Fishermen are a special breed. Each seems to have their own way of doing things, from their “go-to” color pattern or technique to a particular bait scent they swear by. Variety, after all, is the spice of life, but in the midst of the uniqueness that each angler brings to the table, you’ll see several habits that great anglers share with one another. I have several friends who’ve never been fishing with me because they simply refuse to get up early enough in the morning. I’ve always made it a point to be on the water before or just after sunrise and I’m not alone. Not only does this allow you more time to fish, but fish tend to be more active around that time, which means better chances of capitalizing on the morning bite. 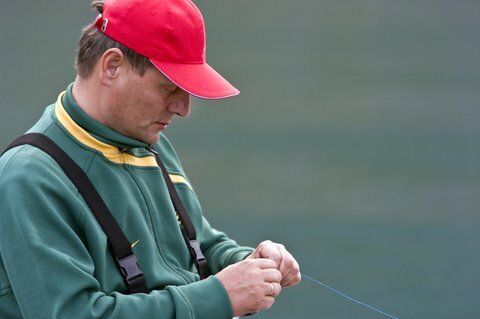 It may seem tedious and unnecessary, but good anglers know that after landing a fish, it’s a good idea to snip and retie their lure. This is also a wise move if you get snagged. A hook-up or hang-up can stretch or fray your line, which means great risk of losing the “big one” on your next cast. Whether you’re a weekend warrior with a favorite farm pond or lake inlet, or a seasoned vet, keeping a journal/log of your successes on the water is helpful. Note the temperature, time, lure and any other information that you can think of with each fish caught. Doing so will help you track your performance and know what’s working and what isn’t. Know where you’re going to fish by scanning topography maps ahead of time. Learning how topos work will give you a nice advantage and save you some time. If you plan on fishing a river system, know where there are trails for entry, deep pools and rapids. On a lake, know where to launch your boat, what areas to avoid and the structure of the bottom. Every angler has their favorite color or lure, but limiting yourself to these will cost you fish. I knew a guy who only used spinnerbaits and buzzbaits when bass fishing. There’s nothing wrong with these lures, of course; they’re great at catching fish. However, some situations call for a finesse presentation or a jig, and it pays dividends to try new things.